Cybersecurity has never been more important. If you're interested in a cybersecurity career, a cybersecurity degree will go a long way to helping you land a job in this fast-growing and essential field. If you're interested in pursuing a degree in cybersecurity, you might be wondering what sorts of things you will learn from a degree program. After all, it is possible to learn about cybersecurity on your own, isn't it? What can you learn in school that you can't on your own time? And what kinds of resources might be available on campus that aren't available to those going it alone? In fact, there are plenty of good reasons to consider getting a formal education instead of trying to learn on your own. A formal education can help you build a cybersecurity career in ways that would be difficult to achieve on your own. Here are a few of those reasons. You may feel like you don't need your hand held through your cybersecurity education, but having a set, organized lesson plan is enormously helpful when it comes to learning what you'll need to begin a cybersecurity career. Learning cybersecurity involves more than just a handful of classes; you will need to develop a deep expertise of computers, networks, and security practices. The more organized your lessons, the easier it will be to take it all in. Your tuition doesn't just pay for the classes themselves; your classes will include educational resources that you'll be hard-press to find on your own. From state of the art simulation software that can replicate almost any troubleshooting situation to laboratories that let you hone your skills in a controlled, observable setting, a formal program offers ways to learn that will help you improve your skills noticeably and quickly. Your professors aren't just teachers. They are usually experts in the cybersecurity field. They know the industry and the paths you can follow to build your career. Cybersecurity jobs are abundant, but charting a career path in the field is only going to get more challenging as those jobs get filled and the field gets increasingly competitive. Getting third party certifications is one of the most important parts of the cybersecurity education. Certification exams show to prospective employers that you possess a deep and thorough understanding of some of the most important cybersecurity concepts. Studying for these exams can be a big challenge, but in a good degree program, your certification preparation will be built right into your curriculum. By the time you earn your diploma, you will also be ready to earn some of the most important certifications that will help you launch your career. Are you interested in network security? 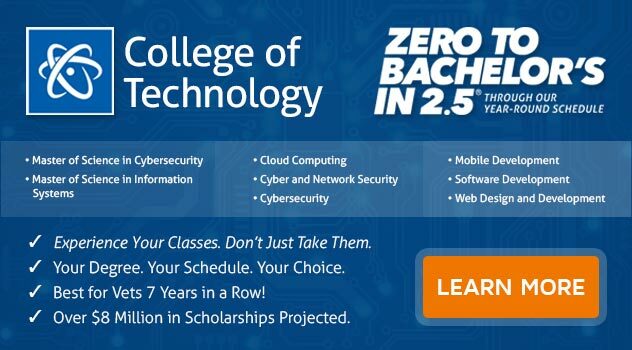 If you want to earn a Bachelor of Science in Computer and Information Science with a Major in Cyber and Network Security, ECPI University offers this degree at an accelerated pace. For more information about this exciting opportunity, connect with a friendly knowledgeable admissions representative today.